When we use the term disability with respect to a person who can no longer work, we normally think of a physical disability, such as one caused by an accident or medical condition like a stroke or heart disease. However, mental illnesses, such as severe depression and posttraumatic stress disorder (PTSD), can make it impossible for people to work, and this may qualify those individuals for Social Security Disability (SSDI) benefits. According to a recent article from the New York Post, teachers may be able to qualify for disability through a union disability plan for the disability of school-related stress. While many teachers claim disability for on-the-job incidents such as falling down the stairs, or being attacked by a student, some teachers are submitting disability claims for PTSD and school-related stress. It is alleged that even stress from spending time in a “rubber room” can lead to stress that may qualify for disability benefits. When teachers in New York City are under investigation for misconduct, they are sent to reassignment centers where they are paid but are not assigned to any teaching activities. Some teachers spend years in one of these rubber rooms until a determination is made. 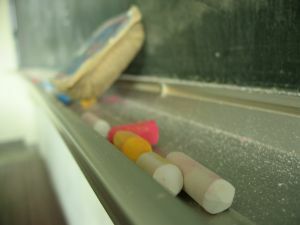 One teacher stated that she was stuck in a rubber room for two years and surrounded by child molesters, and that caused her to suffer from PTSD. Our Boston Social Security Disability (SSDI) attorneys understand how difficult it can be to work if you suffer from PTSD. While many people do not want to admit they suffer from depression or other mental health disorders, due a perceived stigma, you should discuss these issues with your disability attorney. The Social Security Administration (SSA) uses a rigid set of guidelines to determine if someone qualifies as being disabled for the purposes of receiving SSDI benefits. The problem is that if a worker is able to do any type of work, even if the pay is far less than in the field in which the worker is trained or currently working, he or she may be denied benefits. This is not an exaggeration. If someone is a neurosurgeon but suffers a debilitating accident, and the SSA determines that the surgeon can still bag groceries, he or she is not considered disabled and will not be awarded benefits. In order to help deny benefits to claimants, the SSA has a system established where a vocational expert (VE) and doctors paid by the administration will present a case that the claimant is not disabled to an administrative law judge (ALJ), who is also paid by the SSA. This is supposed to be an independent review process, but that is far from what actually happens. The best thing a claimant can do is to speak with an attorney as early in the process as possible and be honest with that attorney about any mental health issues. With a combination of a physical and mental disability, the chances of obtaining a disability rating that provides for benefits is significantly higher than a physical disability alone.